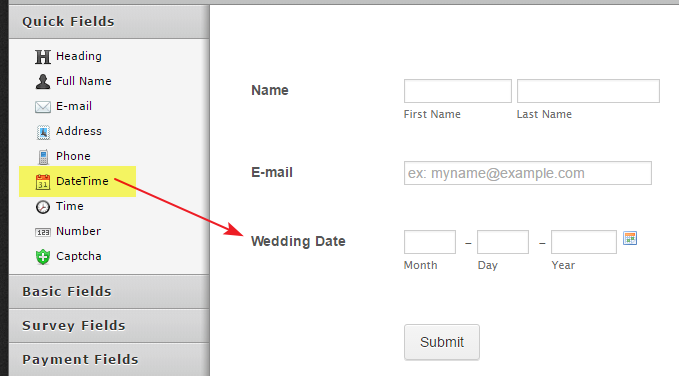 I am looking to create a form for wedding clients and when I receive the email I would like it to be listed by the individual wedding dates is this possible? Also can I have multiple recipients receive the filled out form? 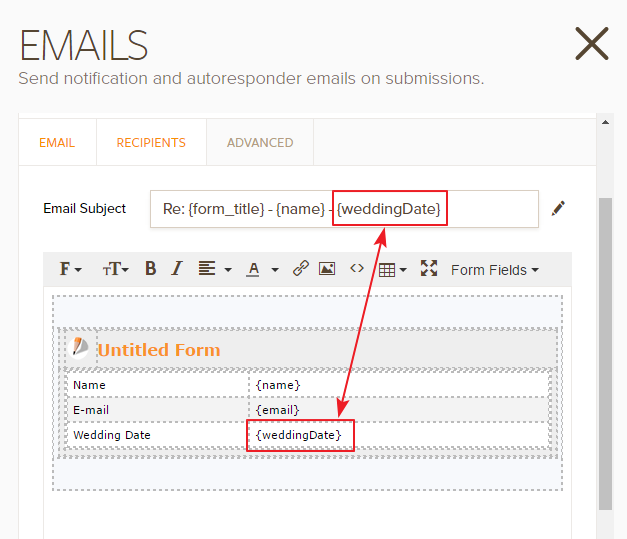 Will I be able to open the form attachments on a cell phone? This form will not be used on a website but a link emailed to clients. Following is the email received when the form is submitted. Here is the demo form to see how it works. You may also clone it to your account. The questions related to other issues are moved to separate threads and shall be addressed there shortly.